Researchers from Washington State University had found that the time at which one sleeps is an important factor to judge how much sleep it is that one finally gets. 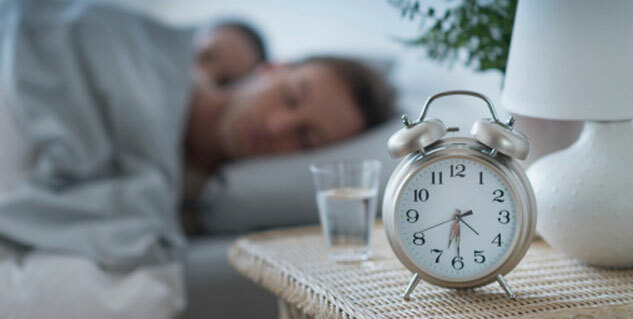 Ilia Karatsoreos, assistant professor in the department of integrative physiology and neuroscience, shifted the timing of sleep from the usual cycle of sleeping and waking and found that even though the mice got enough sleep, it was of poorer quality. The animals tended to also have a disrupted immune response, which left them more open to illnesses. Karatsoreos further said that this represents a clear dysregulation of one’s sleep system. This can over a period of time cause adverse health consequences. Considering that most researches today are focused primarily on the effects sleep deprivation has on health or the overall amount of sleep an animal requires, this new study by Karatsoreos and his colleagues is a one-of-its-kind look into the brain’s self-driven clock that controls rhythms of all biological processes. This cycle is found to be present in animals or organisms that live for more than 24 hours including plants as well as single-celled organisms. Animals with a disrupted sleep cycle tended to have blunted immune responses in some cases and an overactive response in other cases, suggesting that their circadian cycle is what made them lose their ability to fight diseases and thus, make them more likely to get unwell. Research into this can have significant implications for people in the modern setting. Researchers noted that a disruption of the circadian clock is ubiquitous in modern society because of nighttime lighting, jet lag, shift work and even blue-tinged light that is emitted by cell phones as well as tablets. What are a few tips to stay healthy with a Diabetic Eye?